We know some of you are still struggling with her change of name, but we guess it's time you all get used to it. AIMAKHU is gone, ABRAHAM has come to stay. So the pretty actress who has been busy promoting her new movie and ofcus raking in millions, have added a little flesh. 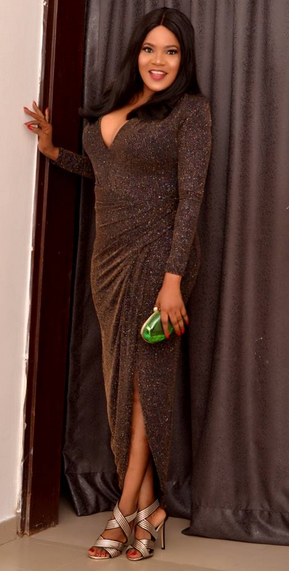 Photos taken on her way to Hakkunde movie premiere over the weekend show the movie producer adding a bit in the bust region, stomach and hips!